Today I saw the sixth installment of the Harry Potter movies. I'll admit I got choked up when Dumbledore, the wizened old wizard of Hogwarts, was betrayed and killed at the end of the movie. I shouldn't have, because after reading the book I knew what to expect. But there came the tears. I lost it when I read the same tragic event in the book two years earlier with my children. I had to stop and gather my composure and try to explain to my kids why I was such a blubbering mess. I had a difficult time trying to sort it out. What is it about the death of Dumbledore that made me so damn full of grief. Here is what I think. I am grieving the loss of heroes in our culture. I mean real heroes. You know, men and women who are wise and have a rich, deep history with an ability to sacrifice themselves for the sake of the greater good. Heroes who are in this thing called life not for the massive amounts exposure they can garner but for the deep service they can render the human race. wondered at, not aped, while everyone else craves their 15 minutes of fame. Cobain and Princess Diana, and now Michael Jackson. achieve nothing if we simply rage against it. usually consumed with a measure of irony. put up for our consumption. 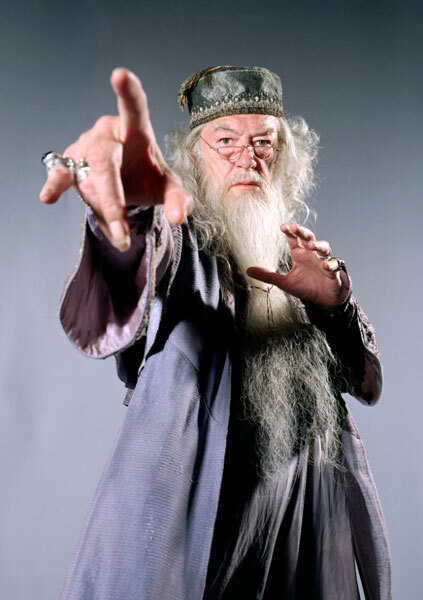 This may sound over the top and bit "wacky", but damn that Dumbledore, he exposed my deficiency in a depth of meaning and my yearning for heroes who can help me make life truly worth living.